Born at Bowsman, Manitoba, Colin was the 9th of 13 children to Philias and Eglantina Roberge. He attended Bowsman Union School and moved with the family to the farm south of town on the banks of the Woody River where he continued to live and farm until 2002. At the age of 17 he volunteered for active service in The Lord Strathcona Horse Regiment, driving tank in several of the major campaigns of World War II, including Sicily, Italy, France, and most memorably, the liberation of The Netherlands. Concluding service with the Three Rivers Regiment, Colin met up with two of four siblings, also serving overseas, in England prior to his return to Canada. Throughout the post war years Colin enlarged the family farm, developing a Holstein dairy operation in addition to the mixed grain and livestock production. In 1955 he married Jeannette La Fontaine of The Pas, Manitoba; together they raised sons Robin (Ronalie Cook), Marcel, Arthur, and daughter Renée (Rick Menzies). Colin was a long-standing member of the Royal Canadian Legion Branch No. 51 Bowsman, and a charter member of the Knights of Columbus Swan River Valley Council 6339. He generously contributed to many charities and causes throughout the community and province. As an avid hunter and fisherman he had a special fondness for the Ducks Unlimited and Fish, Game & Wildlife associations. Colin will be remembered for his keen interest in current affairs, politics, and a fervent passion for books; so much so, the local library was hard-pressed to find him new material! Above all, he was a devoted husband and father, with an incredible work ethic, who never failed to put his family first. 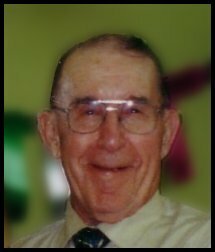 He was a devout life-long parishioner of Holy Family Church in Bowsman and St. Columba's Parish in Swan River. Colin was predeceased by his parents, by his brothers Philip and Robert, and by his sisters Emma, Eleanor, Lucille, Rose, Yvonne and Agnes. He is survived by his wife Jeannette of 51 years, his four children, four grandchildren and four great-grandchildren, and by brothers Sidney and Maurice, sisters Adeline and Anette. Mass of Christian Burial will be celebrated Tuesday 2 October 2007 at St. Columba's Roman Catholic Church, 7th Ave South, Swan River with Father Rainerio Sarce officiating. Active Pallbearers include nephews Marcel, Rémi, Louis, and Gilles La Fontaine, Wayne Hall, Vaughn Wadelius, and Eugene Hrabarchuk. Honourary Pallbearers include members of the Knights of Columbus and The Royal Canadian Legion. Following cremation, interment at Bowsman Cemetery will take place at a later date. In lieu of flowers, donations to Swan Valley Lodge, Box 1450 Swan River MB ROL 1Z0, The Manitoba Heart and Stroke Foundation, or the charity of your choice, will be greatly appreciated. Paull Funeral Home is in care of arrangements.